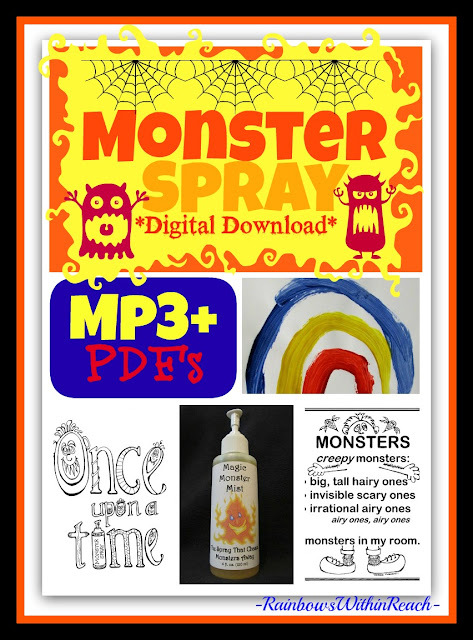 Blog Hoppin': "Monster Spray" Goes Digital + is on SALE! October is on the horizon! Let the fun begin! 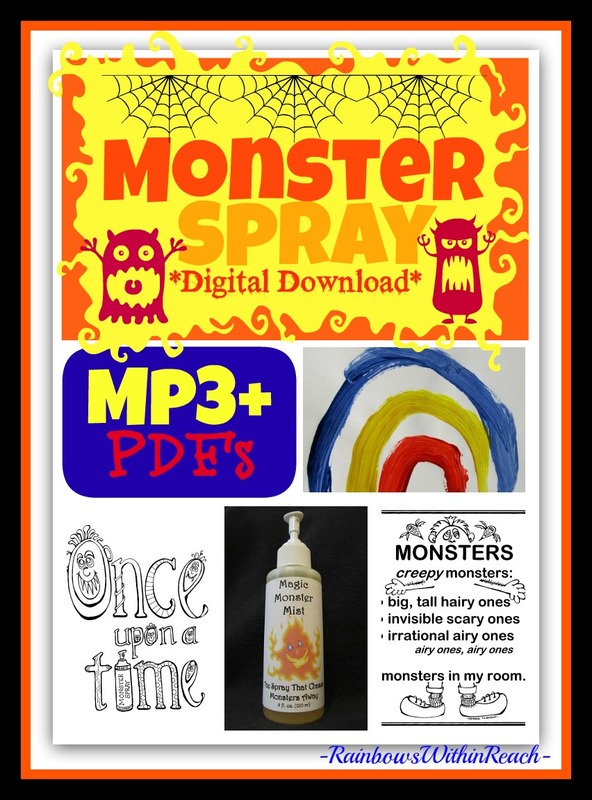 I'm so excited to have created a zip file for TpT of my classic original children's song, "Monster Spray" in an Mp3 version complete with Pdf's of support. I'm new at Teachers Pay Teachers and its so exciting to be able to offer my songs in an instantaneous fashion. I wrote this song as a tool for children to face down their fears and overcome them. This song would make the perfect addition to your monster read-alouds for next month. I've got the chorus lyrics into form for you to print the phrases and add them to your pocket chart. 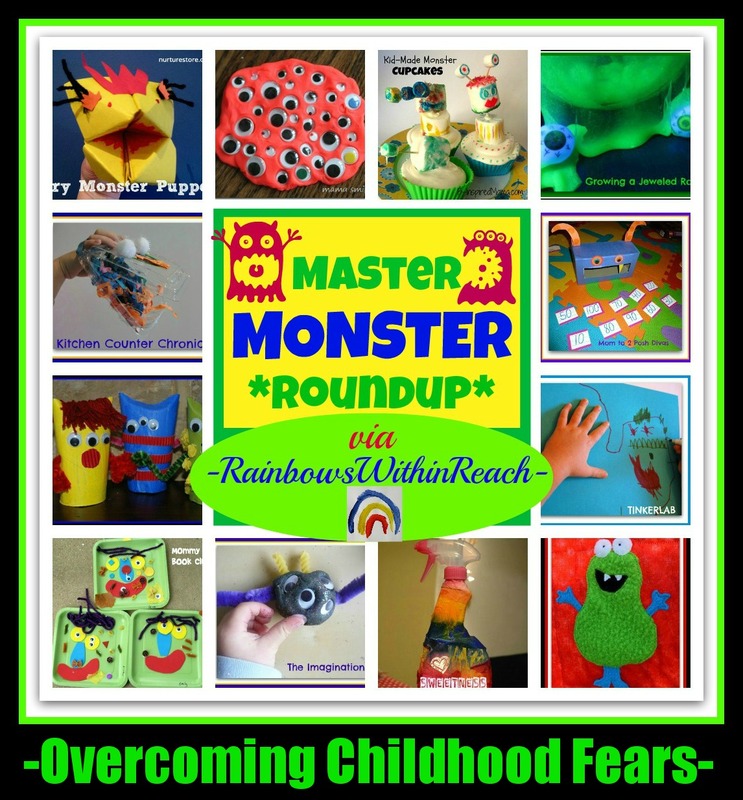 Yesterday I had a MAMMOTH MONSTER post with a couple dozen ideas of creative activities to create around the monster-theme. You'll want to go to my blog for those ideas. OH!!!! The best part? My entire store is on sale this weekend to give you some extra incentive to come over. I have an entire pinterest board with 372 pins devoted to monsters! I'm now up to 63,843 followers at Pinterest: Yeah!